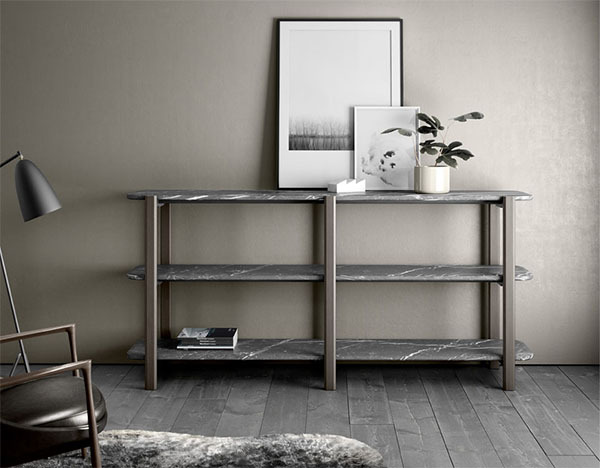 Marble is the epitome of luxury and it can be a great addition to a space of any style. I’ve recently come across the marble designs of french company Retegui and I was so impressed that I had to share their designs with you. Prepare to be amazed. Retegui takes natural stone and combines it with 3-D rendering technology to create truly unique marble furniture with impeccable engineering. 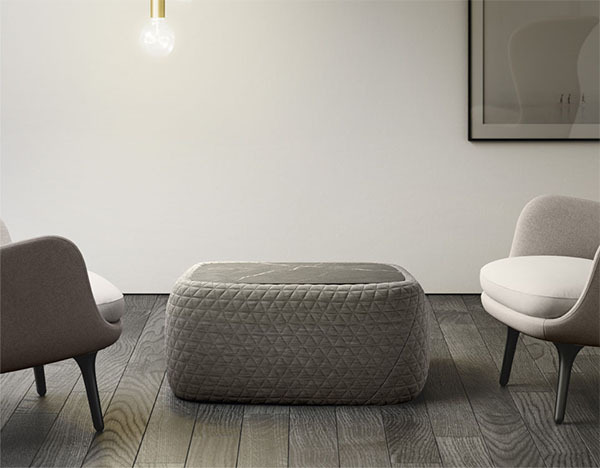 Despite Retegui’s high-tech approach toward design, all of their furniture and decor maintains a timeless elegance highlighted by a timelessly elegant stone — marble. I can honestly say that I’ve never seen a coffee table quite like this one. (Shown above and below). 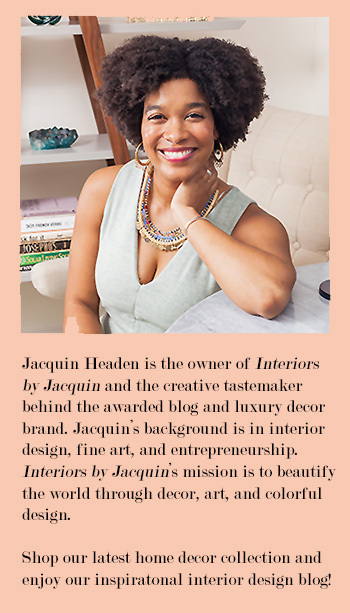 I love the juxtaposition between the soft upholstery and hard marble tabletop in the center. Truly an artistic statement piece. Retegui is under thecreative direction of Jean Louis Iratzoki and their CEO is Claude Retegui, civil engineer and the grandson of the1939 founder, Laurent Bergez. With this engineering expertise, Retegui’s 3-D Technology department has allowed for far more creative possibilities within the realm of stone furniture design. Retegui’s 3D technology allows them to layer marble with composite materials to create innovative designs, that just weren’t possible without this technology. 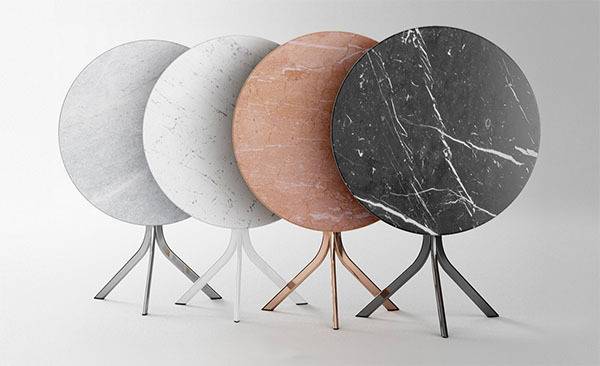 Their unique combination of composite materials with marble yields beautiful designs like the dining tables shown below. Retegui’s designs expertly maintain the essence of marble while utilizing technology to develop lighter weight, marble-based furniture. 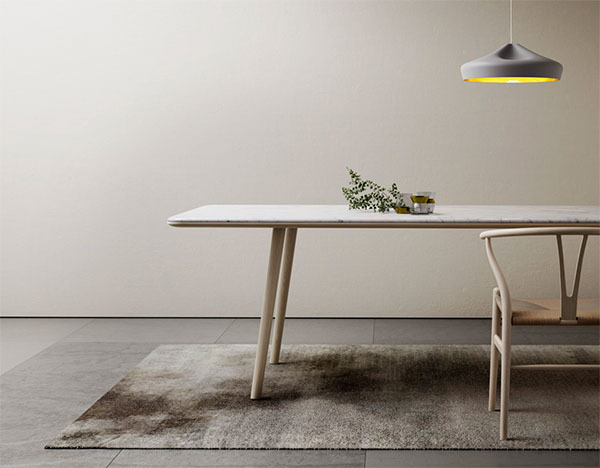 I especially enjoy the blend of natural and contemporary in their lighter wood tone dining table below. I’ll take one please! 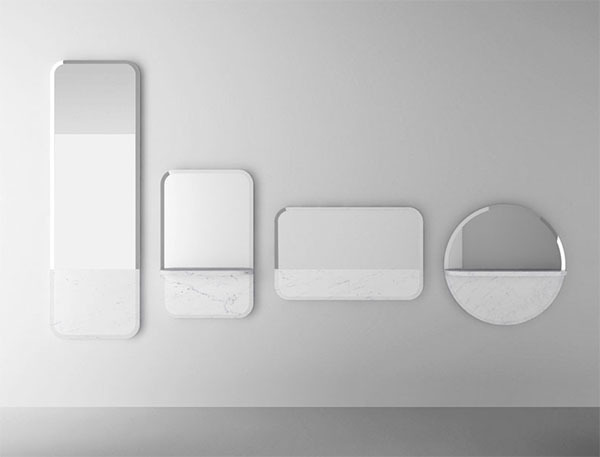 You’ll absolutely love their new collection of marble-blocked mirrors! 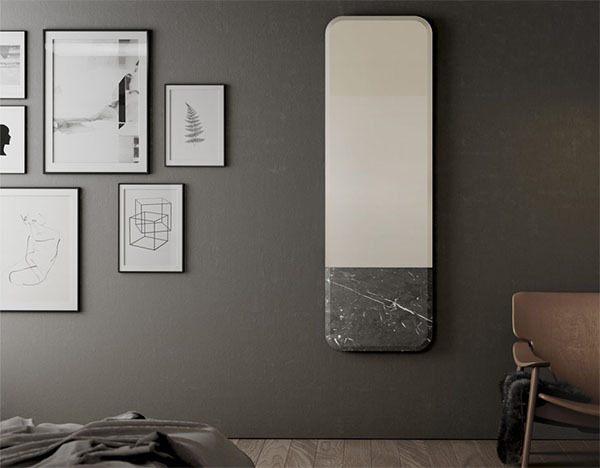 (below) Retegui teamed up with expert industrial designer Sylvain Willenz to develop this stunning collection of mirrors. These mirrors come in several fun shapes and sizes and are all oh so chic! The marble in this design blends into the mirror so seamlessly. Yet another reason I was so impressed by Retegui. See the first picture in this post for a peek at the other mirrors in this collection. 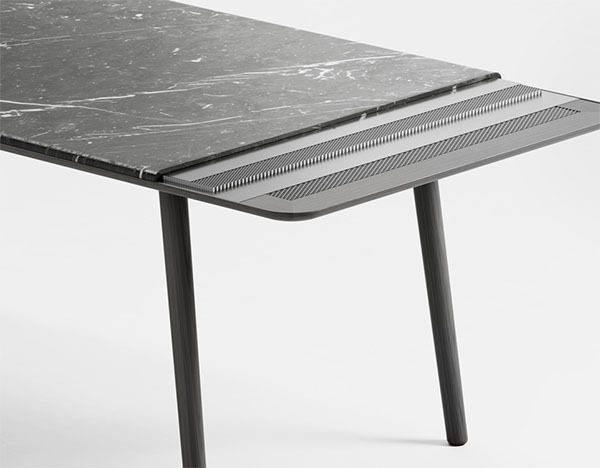 Retegui’s marble furniture is so innovative, yet absolutely elegant at once. The Retegui design team certainly highlights the intersection between design and technology. I’m looking forward to seeing how the technology and engineering world continues to influence and blend with design and style. For more on the intersection between engineering and style, take a look at the latest edition of Fashion meets Design, featuring fashion blogger & engineer, Carrie Colbert.